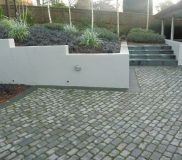 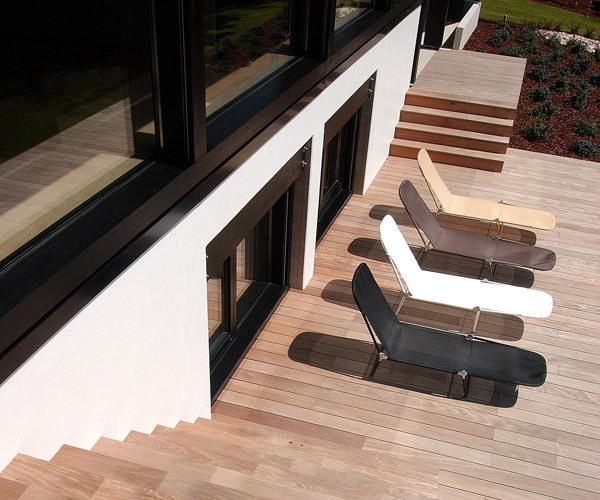 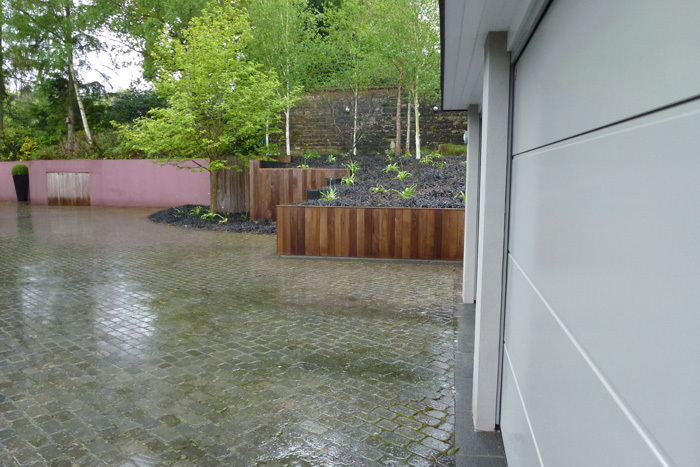 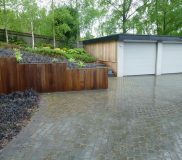 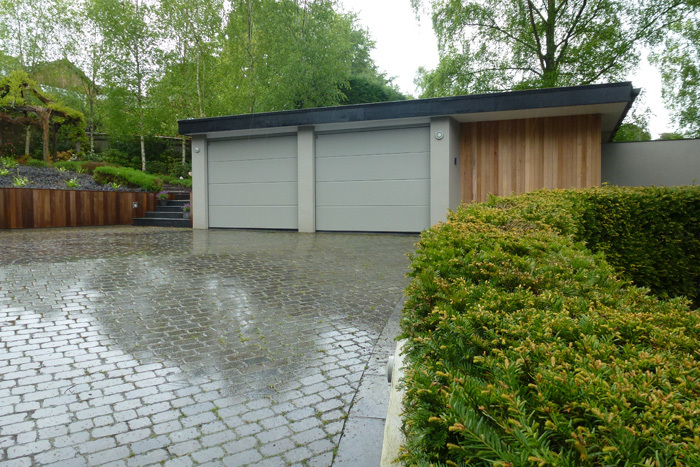 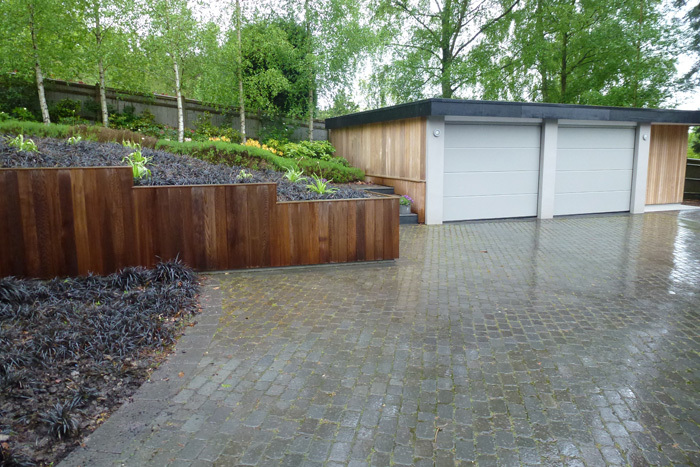 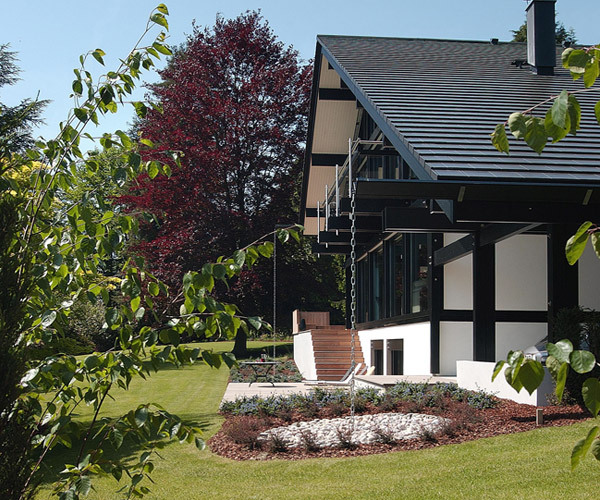 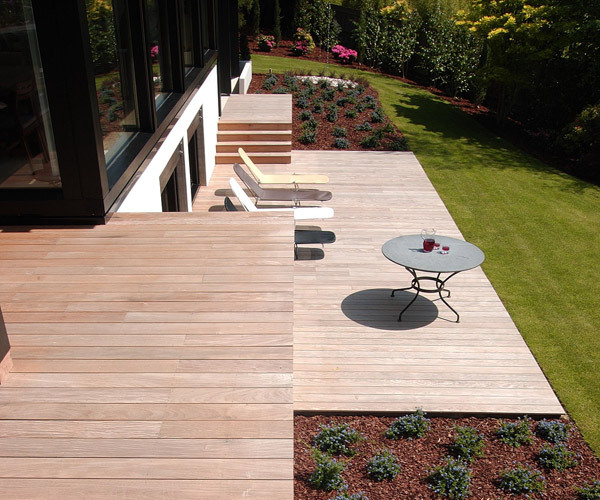 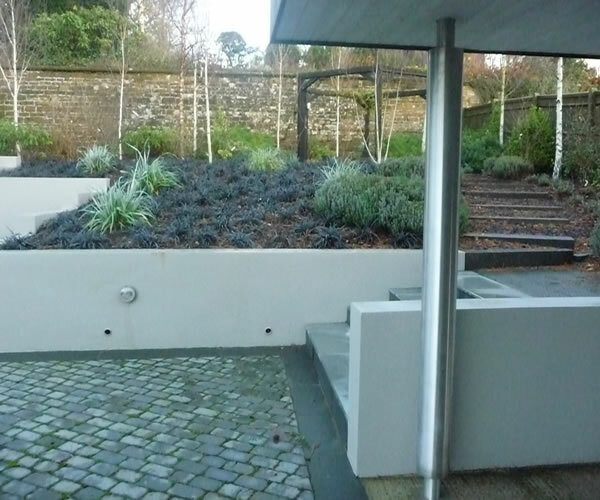 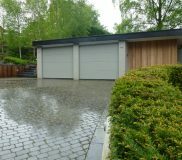 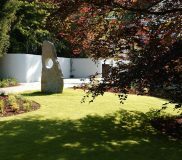 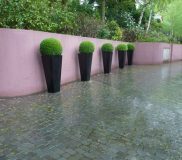 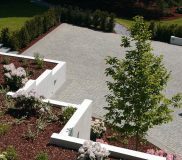 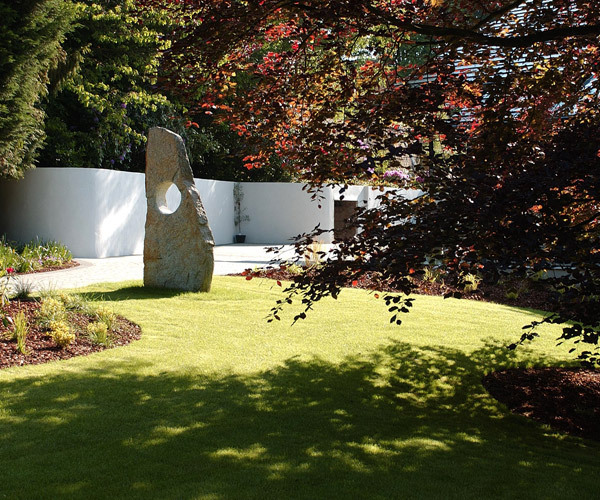 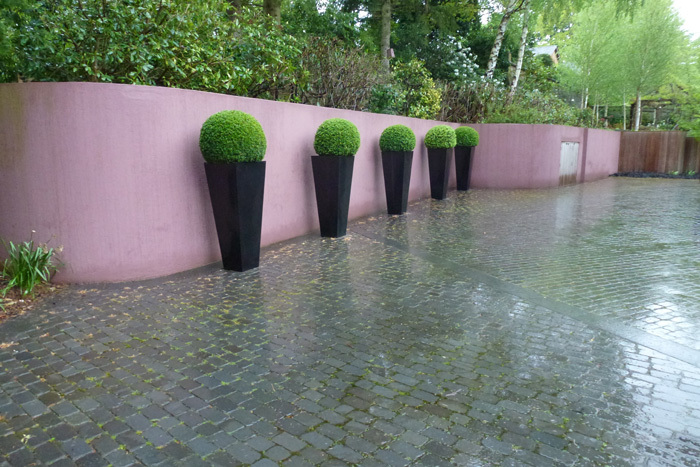 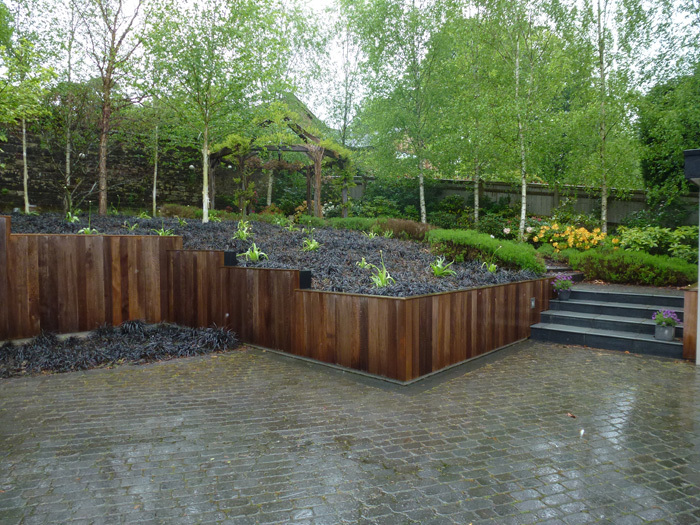 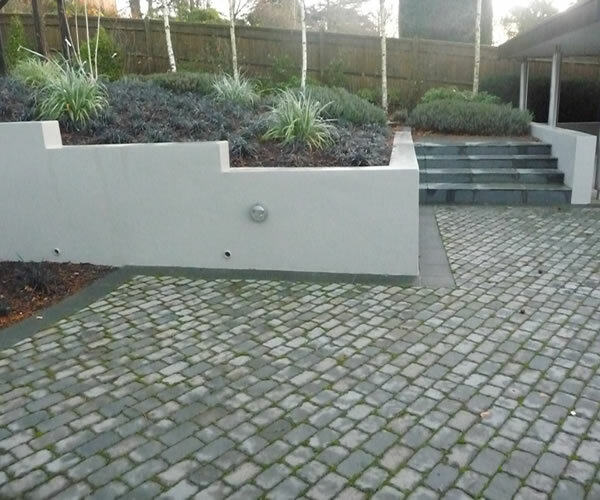 This was the complete design and build of a contemporary low maintenance garden to the surrounds of a Huf Haus in Tunbridge Wells. 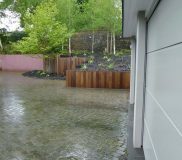 Client requested a clean simple design using IPE hardwood decking, stainless steel balustrade, off white rendered walls, Basalt paved driveway and steps, together with the placement of client’s Moon Stone. 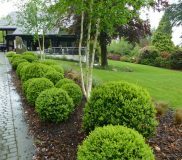 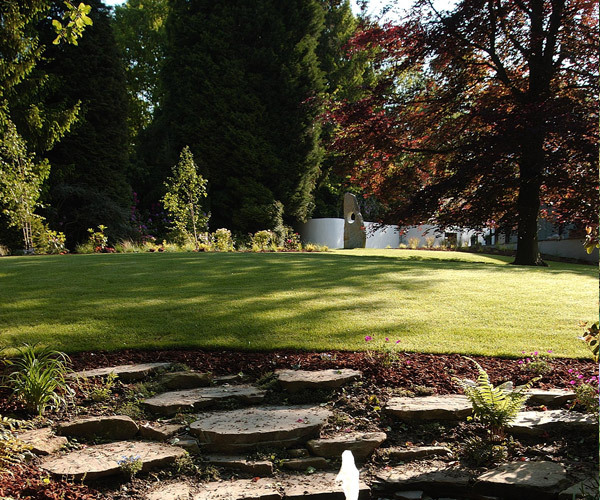 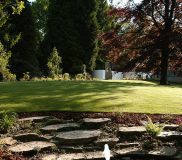 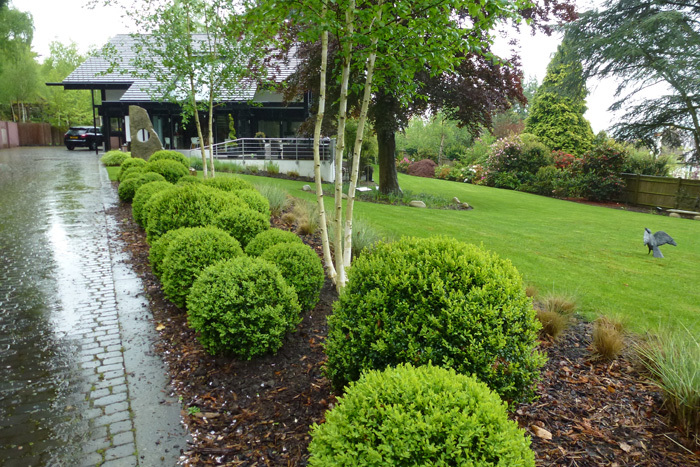 Extensive use of grasses were used around house with more traditional planting to existing Azalea and Rhododendron beds. This year we were asked to come back and refresh the property. 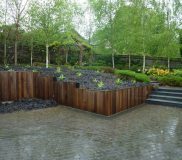 We were commissioned for some additional planting, cladding of walls, repainting of main retaining wall plus a raised children’s play area around the base of a giant redwood.